In October 2015, Karen Helton and her family opened the doors of a miniature, white and pink version of their own house right in their Apex front yard. The pseudo-dollhouse is filled with books for community members to give and take, a small part of the worldwide network of literary exchange called Little Free Library. Their mantra of “take a book, return a book” rings true everywhere from downtown Apex to the Heltons’ front yard. Little Free Library was born in 2009 in Hudson, Wisc., when Todd Bol built a tiny one-room schoolhouse and filled it with books in honor of his mother’s teaching career and love of literature. By 2010, he had given away 30 more to friends and family who praised the idea of a community book exchange. Fast forward to July 2016, and there are 40,000 Little Free Libraries in all 50 states and more than 70 countries worldwide. That tiny schoolhouse has grown into a nonprofit with a $2 million annual budget that sells kits to help people create libraries of their own. The group also supports literacy programs, like one to place Little Free Libraries in rural communities without public libraries. “One initiative we have is called Kids, Community and Cops,” said Margret Aldrich, media and programming manager for the nonprofit and owner of her own Little Free Library in Minneapolis. 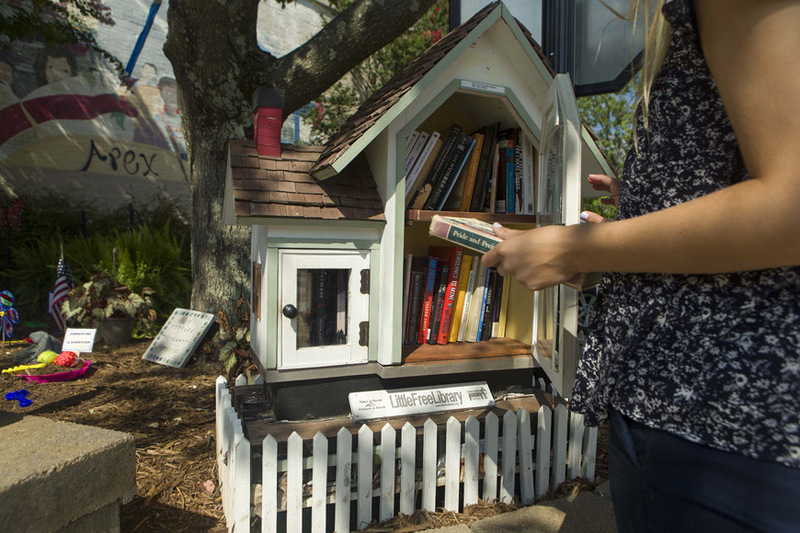 “In that program, we help police stations place a Little Free Library in their precinct, and then police officers use this as a way to welcome the public into the police station for a good reason instead of a negative reason. For the Heltons, creating the Little Free Library was a project of love in honor of Ellie, the daughter they lost to a brain aneurism in 2014. “When she was in first grade, she was diagnosed with a reading disorder, and didn’t like to read. In second grade, with the help of her teacher and school tutoring, she became an avid reader. She just loved and loved and loved it. 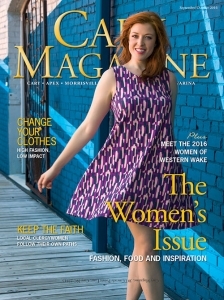 It was a big part of who she was,” said Helton of her daughter. The family modeled the library after Ellie’s love of dollhouses, the color pink and, of course, books. A friend built the custom house, and the Heltons keep it stocked with books from their own shelves, with help from the rest of their community. 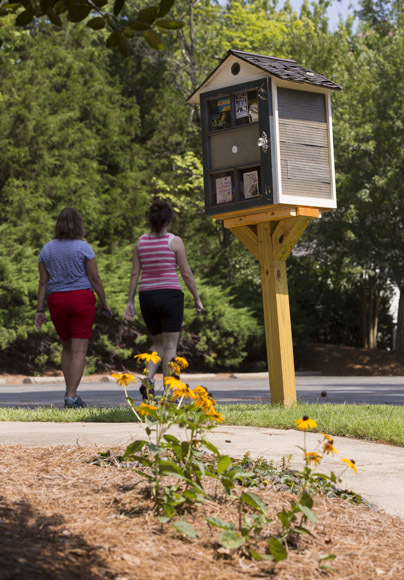 In downtown Apex, the Little Free Library that Apex ambassador J.C. Knowles requested be built in the garden he created can also be seen strengthening the community. 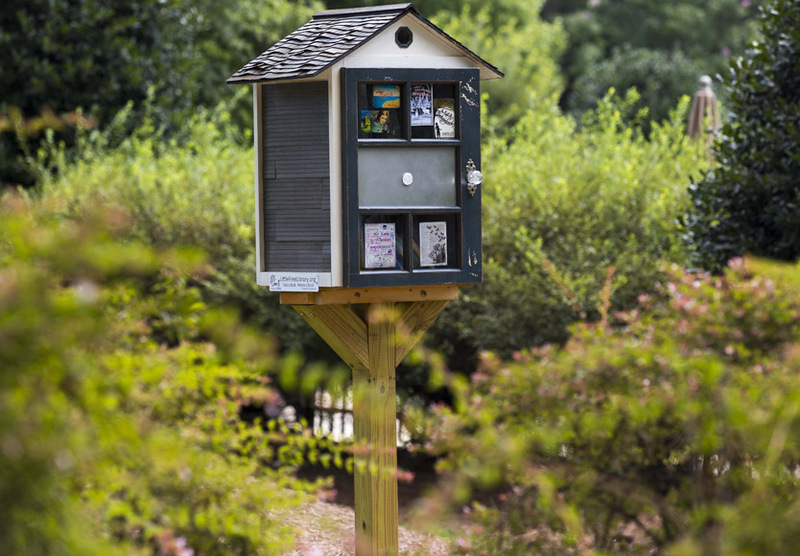 Janice Monaco of All Booked Up bookstore makes sure the Apex Little Free Library stays full and diverse, with everything from kids’ books to mysteries to young adult fiction and classics that teens are reading in school. “I really do believe in books and putting them with people,” said Monaco. 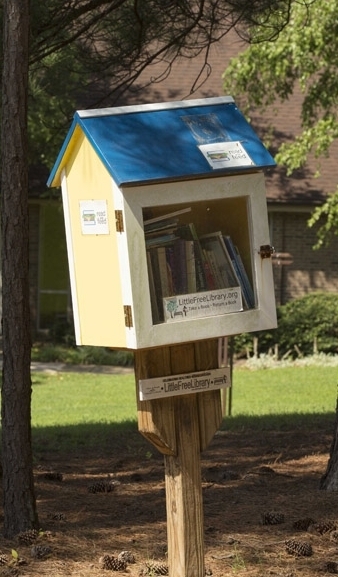 What’s next for Little Free Library? By the end of 2017, the nonprofit hopes to have 100,000 libraries worldwide. “In my opinion, the print book is never going to lose its appeal,” explained Aldrich, even in an increasingly digitized world. 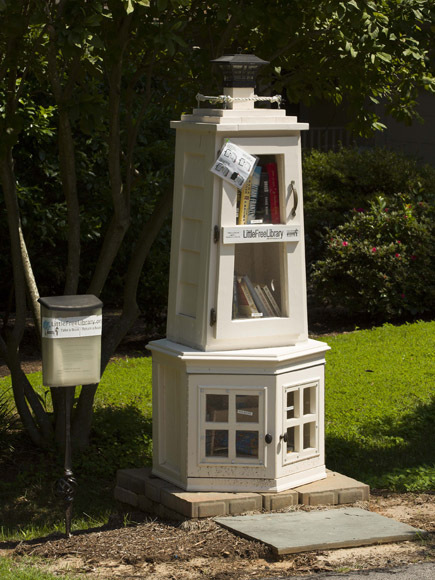 She says the Little Free Libraries appeal to readers’ sense of discovery. “When you open up the door, you don’t know what books are going to be inside. You get to thumb through the pages and see if there’s something there that speaks to you,” said Aldrich. 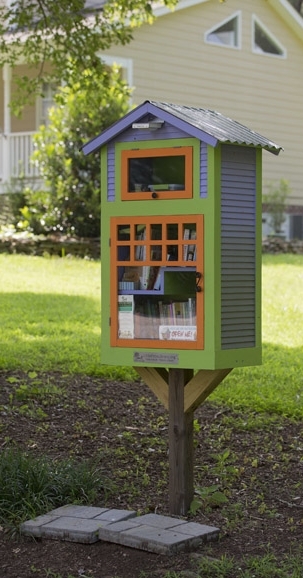 For information on how to start your own Little Free Library, visit littlefreelibrary.org.